Hi Everyone! My name is Fedi Makni. I’m a nanotechnology and advanced electronics engineer student at National School of Sciences and Advanced Technologies of Borj Cedria, Tunisia. I am interning at exiii for 6 months as an electrical engineer. While many people use Vive nowadays, we noticed that a lot of users try to get an access to pogo pin located in Vive tracker. But the current design prevents the access to the Standard Camera Mount and the Stabilizing Pin Recess. Our solution will let you use the pogo pin easily while allowing you to use the tracker as usual. Before we start, here is a video showing an example application of Vive tracking mount. We publish 3D data and document under CC0 1.0. You can use these data under following condition. 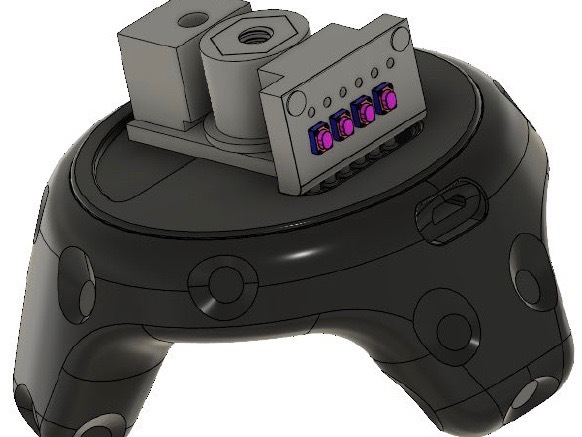 Vive already made a connector that is designed to be interfaced with the tracker. 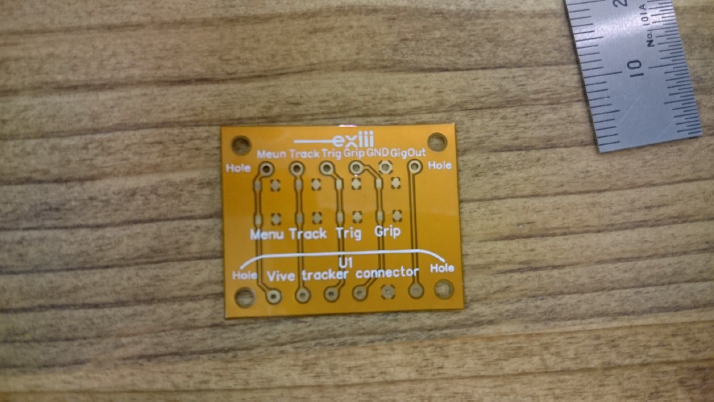 You can check their connector from thingiverse. You can also see the full discussion in the link below. 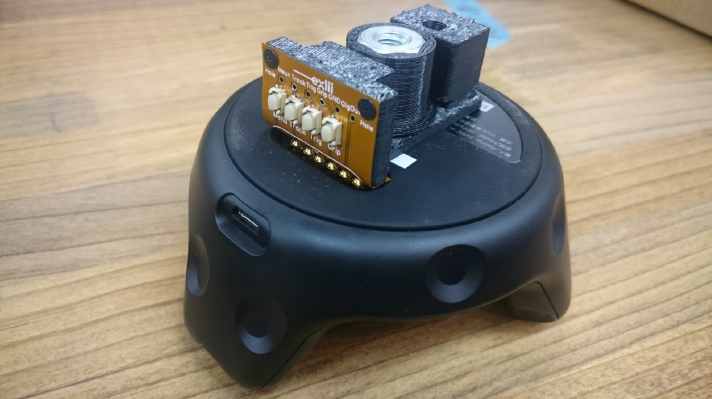 But as we mentioned earlier, this doesn’t solve the problem of accessing the pins easily, and here comes our Vive tracker mount, which is considered as an intermediate component between your device and the tracker. Refer to the following gsheet for parts list. You can download the 3D data for each item from the URL. You can also download the necessary data from here. If you want to see the assembled data, go to following. 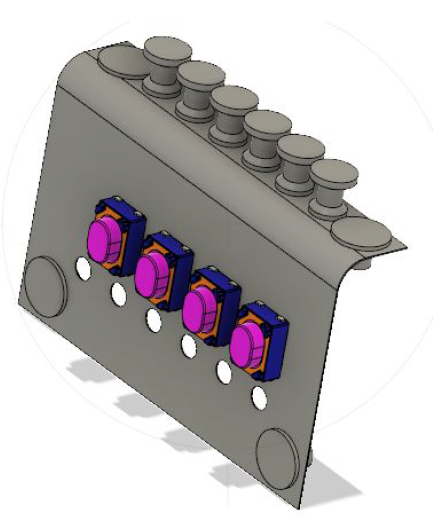 In this project, we used an FPC to give us more flexibility when mounting. This is the 3D data of the FPC. It can be fixed with 4 screws. This is the electronic design of the FPC. 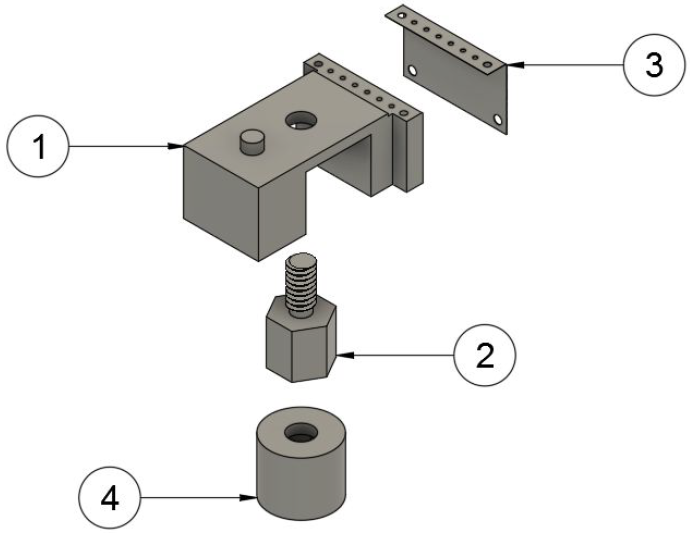 This FPC offers the possibility to use the the pogo pins with 4 buttons mounted on the side of the component. Also it will allow you to use the pin with 6 easy to access test points. This is the real picture of the PCB. This component is easy to use. You just have to mount it using both the Standard Camera Mount and the Stabilizing Pin Recess, then you have the possibility to use buttons or test points in order to access pogo pins. How was it? 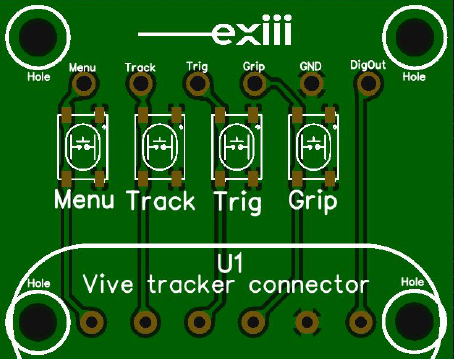 If you could successfully make it work or have any comments, please share on SNS with hashtag #exiii.